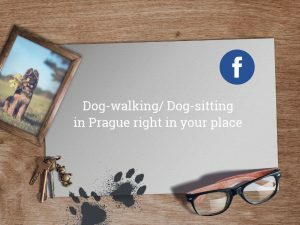 We provide professional dog walking and dog sitting in Prague right in surroundings they know. We can also take your dogs to our place, but we have very limited capacities. We do dog-sitting with love and give the dogs the best care they deserve. The dog sitter will first visit you at home for a preliminary meeting, where they will get to know you and your dog, and they will show you a short trial walk. After that, they will put your details in the contract, take your keys and take your payment in advance. The dog sitter will then go to your place as arranged, walk the dog, feed it, play with it and then send you an original photo collage from the visit together with a detailed report on if your dog had a good time and if everything is alright. What about safety? Are dog-sitters vetted? We know well that it might be difficult for you to decide whether to order our service due to distrust of strangers. For this reason, we carefully select and train our staff, send you photos/videos from each visit, protect ourselves with contracts and take other measures. 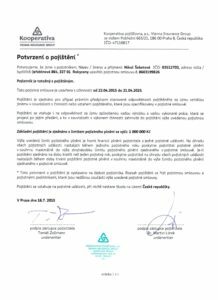 We are also insured by Kooperativa for up to CZK 1,000,000. We love our work and we do our best to take care of your dogs with the best responsibility and love they deserve. Go directly to our order form. After entering your order, we will calculate a non-binding approximate price. IS IT SAFE TO GIVE MY KEYS TO DOG SITTERS? Each of our dog sitters is carefully selected, has a clean criminal record and is reliably vetted. They sign a standard contract and also a material responsibility contract. A dog sitter also sends you messages about your pets with a carefully made photo collage, which is also shared with a supervisor. Moreover, you will meet the dog sitter personally before the dog sitting starts. WHO WILL HAVE ACCESS TO MY KEYS? Your keys will only be available to the DogHoliday.cz agency personnel. Of course, we will always do our best to send only one dog sitter to your place, but if it is necessary (for instance if the dog sitter gets ill or there is too much workload, etc. ), another member of our vetted staff will be sent to sit your dog after consulting with you. DOES MY DOG HAVE TO MEET ANY CRITERIA TO BE ACCEPTED FOR DOG SITTING? 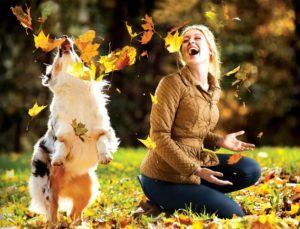 HOW LONG IN ADVANCE SHOULD I ORDER DOG WALKING / DOG SITTING? 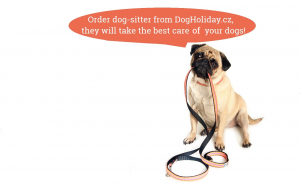 We recommend ordering dog sitting as far ahead as possible, so that we are able to find a dog sitter for you in time. Please, order dog sitting no later than 7 days before you need it to start. If you don’t, we cannot guarantee we will have enough available staff. HOW FREQUENT DO YOU RECOMMEND THE VISITS SHOULD BE? The frequency of visits depends on the needs of each individual dog and therefore it is not possible to set a universal number of visits for all animals. If you need your dog to be taken for a walk always on the same day of the week (for instance due to long working hours), we recommend one longer visit so that the walk is sufficient. If you are going on a holiday and need to leave your dog at home, the minimal recommended frequency of visits is twice a day (e.g. one longer and one shorter visit). All kinds of visits can be combined as you wish. Nevertheless, your dog has to be used to being alone and it is up to your discretion what frequency is sufficient. WHY IS IT IMPORTANT FOR THE DOG SITTER TO HAND ME MY KEYS PERSONALLY AFTER THE DOG SITTING IS OVER? To make sure that your possessions are safe, we try to take all possible measures, including safe return of keys to you personally. For this reason, we do not accept requests for your keys to be left in your mailbox or even in your flat. WHAT IF THE SERVICE DOES NOT MEET MY EXPECTATIONS? We always try our best to make sure you are satisfied, however, if your expectations are not met even though you have expressed your requirements regarding dog sitting clearly, we will offer you an adequate compensation.